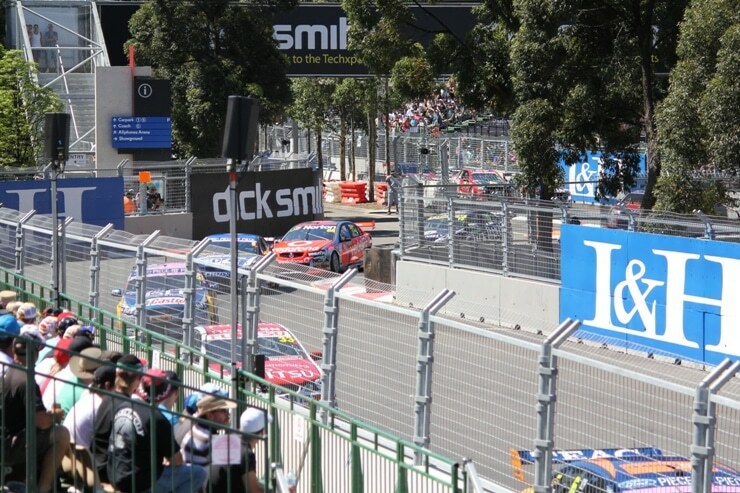 From 2010 – 2016 Abergeldie installed temporary bridges, barriers and fences and made modifications to the roads around Sydney Olympic Park to enable staging of the Sydney 500 V8 Supercar race. 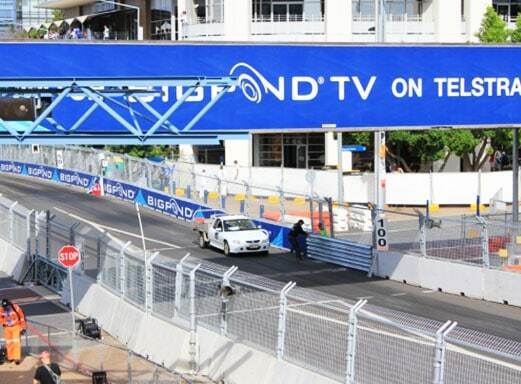 Scope included provision, installation and any required running maintenance of the temporary infrastructure needed during the three day event. 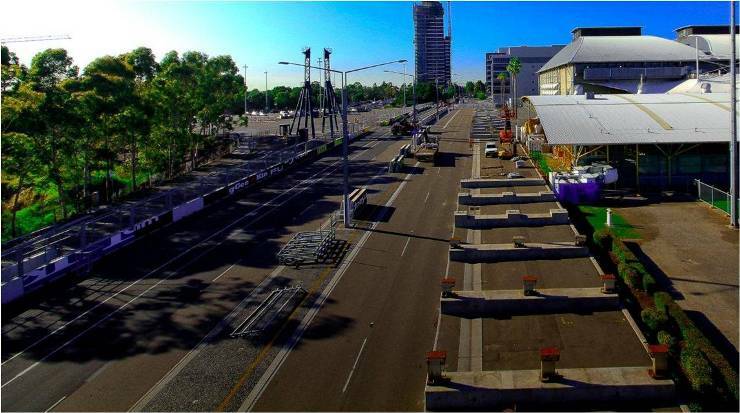 At the conclusion of the event, all temporary track infrastructure was removed and placed in storage, and the Sydney Olympic Park precinct returned to its original state. All work was carried out within a short time window, with tight tolerances. 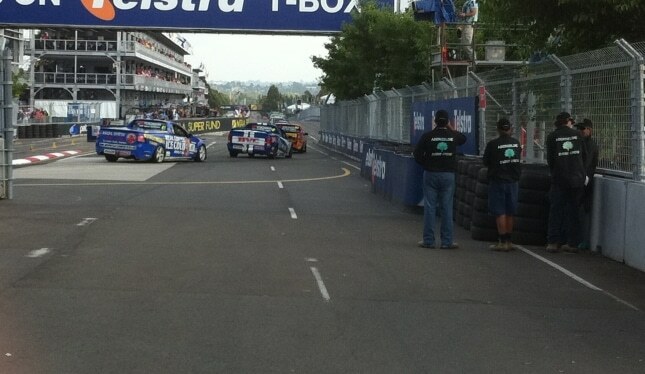 Track ready for race event (first weekend in December) and Sydney Olympic Park Re-intated in January each year.